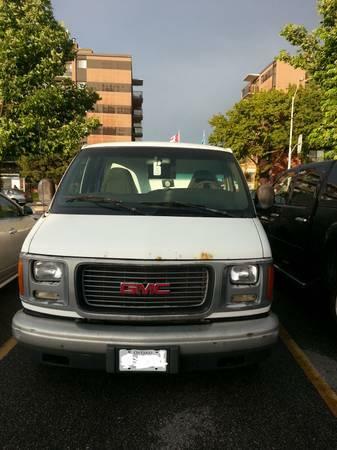 Selling A 2002 GMC Savana 2500, with Ice Cold Air condition, it has 280xxx,Km new break in the back & New front pads as well, New ball joints, New inner and outer rods, good tires, great sounding engine, a true work horse for sale As Is condition for only $3,650.00 or best offer, (obo) it has a back hitch worth over $500, include in the price. This is a Private sale..! If interested, please call (647) 997-0055.